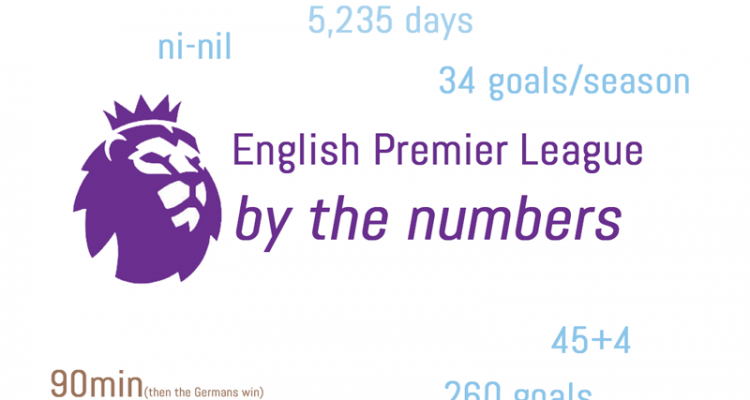 EPL by the Numbers 2018-19 #21. Click for more. The Premier League returned last Friday after a two-week hiatus, with the biggest matchup of the weekend the last – with Liverpool continuing their mini-slide by drawing their third in their last four at Old Trafford 0-0. Arsenal beat Southampton 2-0 earlier that day to jump above United into fourth and Liverpool’s lead fell to a tenuous one point as they got their game in hand back right before Man City won the first trophy of the season, the Caribou Cup, on penalties over Chelsea after a 120-minute stalemate. Everyone except Tottenham held serve in the midweek matches, with Arsenal cruising 5-1 over Bournemouth, Man City slipping past West Ham 1-0 (on an Agüero penalty), United winning at Crystal Palace 3-1, Liverpool rebounding 5-0 over Watford after a troubling scoring drought and Chelsea rebounding as well with a 2-0 victory over a Spurs side that has won at Stamford Bridge exactly once since 1990. The loss left Tottenham 9 points behind Liverpool with only 10 matches left and essentially ended their title tilt. They now find themselves only four points above Arsenal in fourth, five above United in fifth and seven over Chelsea in sixth. They face the Gunners this weekend and then Liverpool and City before the season ends. Meanwhile, at the bottom of the table, Newcastle won their third in a row at home 2-0 over Huddersfield (who are 0-1-15 in their last 16 road matches) then did it again over Burnley Tuesday by the same score to hit 31 points and 13th in the table. Huddersfield actually won their match Tuesday, 1-0 over Wolves, but appears to be too little too late with only 10 matches left in the season. Southampton lost, as previously mentioned, last weekend then beat hapless Fulham 2-0 to move out of the bottom three, replaced by Cardiff, who lost their last two at home by a combined score of 8-1 (5-1 to Watford and 3-0 to Everton). Brighton’s slide continued as well, with a 2-1 loss to Leicester Tuesday and they now find themselves only two points from the drop zone, though they do have a game in hand. Around Europe, Barça were down 2-1 at Sevilla before coming back via a hat trick from Messi to win 4-2 and extend their lead at the top of the table to seven over Atlético and nine over Real, with the second El Clásico this week coming Saturday (Barça won 3-0 Wednesday to knock Real out of the Copa del Rey). In Germany, Dortmund followed a disappointing 0-0 draw with Numberg last week with a 3-2 victory over Bayer Leverkusen, while Munich won 1-0 at Hertha to see the lead at the top hold steady at a mere three points. Juve are running away with the title in Italy, now 13 points up after 25 matches, with Napoli firmly in second and the two Milan sides filling third and fourth, with several sides right behind them. And in France, PSG’s lead is now 17 points with a game in hand against a Dijon side currently in 19th to play. 0-1-6 – Claudio Puel is out at Leicester City after yet another loss in their current run of one point in their last seven, and four straight home losses including the nail in his coffin – a 4-1 thrashing by Crystal Palace. He is replaced by Brendan Rodgers, who returns from Scotland after a successful stint with Celtic to a firmly mid table side … after just missing out on the title the last time he was managing in England. Wilfried Zaha was on the double, and Michy Batshuayi scored his first ever goal for the side, as Palace moved closer to safety for another season in the league. 0-20 – Crystal Palace had never beaten United in the Premier League, but were on an unbeaten run of six in all comps when Man U, minus nine first team players (to injury), visited Wednesday. The streak continued as United won 3-1, with Lukaku scoring twice and Ashley Young rounding out the victory late on. 1-2 – Real Madrid had snuck back into contention in La Liga … until last weekend when, for the first time ever, they lost to Girona at home. They led 1-0 before Sergio Ramos gave up a penalty. Girona took the lead, then Ramos added another red card to a haul that is already the highest in the history of the league. The loss left Real 9 points behind Barça, and the title seems all but sealed in a season when they were more vulnerable than at any time since Real won its last title. 2 – Arsenal have two clean sheets in a row for the first time all season after coming back from an embarrassing 1-0 defeat in Kiev to win 3-0 in the second leg and advance in the Europa League before shutting out Southampton 2-0 last Sunday. The goals came from Lacazette and Mkhitaryan. They then won big over Bournemouth Wednesday, though not without conceding a goal in the 30th minute that cut their lead in half. 4 – Mesut Özil scored in the 4th minute Wednesday at the Emirates, his first goal in that many months. The Gunners went on to win 5-1 over Bournemouth, with Özil adding an assist to Mkhitaryan for the second, Koscielny adding a third before Aubameyang and Lacazette rounded off the route. Arsenal’s most expensive player has found it hard to get on the pitch the past few months, but celebrated a rare league start with an early chipped goal. 5-1 – Cardiff City were on a run that saw them rise out of the drop zone like a Phoenix, but two straight losses have them back in the bottom three and looking like a decent bet to head back to the Championship. Gerard Deulofeu had a lot to do with the first loss, completing a hat trick that reminded us why Barcelona brought him back from Everton before allowing him to move on. Deulofeu also provided an assist for Deeney, who had a brace himself in the 5-1 win. 7 – Trophies won by Brendan Rodgers with Celtic, including two more titles than the one his best player blew at Liverpool. He is now back in the EPL, this time with Leicester, who won their first match after the announcement 2-1 over Brighton. He was hired for 3 1/2 seasons at 5.5 million pounds a year. 8 – It is hard to understand why Ole Gunnar Solskjaer has not yet been named the full-time manager of United, but maybe the uncertainty is serving him well as the team set a club record for consecutive away wins with the aforementioned 3-1 win at Selhurst Park Wednesday. United are a mere point out of fourth place and Arsenal face Tottenham Saturday. Lukaku has been far less lethal in front of goal this season, but his double Wednesday helped the Red Devils earn three points and stay close to Arsenal in the race for fourth. 11 – Liverpool have the most goals from corners this season, two more than Brighton and Tottenham. They couldn’t add a 12th Sunday as it was the first goalless draw between the two at Old Trafford in 27 years. If they go on to lose the title to City, Liverpool fans might well look back on that draw as the decisive moment, even as the Red’s bounced back with the big win Wednesday. The Meyerside Derby could be critical to their title tilt, with a match against Tottenham next month the only with a team in the Top 6 left. 12 – Russell Westbrook’s consecutive triple double streak ended on 2/22 after 12 straight games reaching that milestone, an NBA record. The streak ended at the Jazz, with Westbrook “settling” for 43 points, 15 rebounds but ONLY 8 assists. He also had 2 steals and a blocked shot in the game, shooting 15-29 overall. The Thunder won 148-147 in OT, but have lost their last two as Westbrook has been unable to garner another TD. 16 – Goals in 23 appearances for Son Heung-Min in all comps this season. Harry who? He has, however, been held scoreless in his last two, both losses for the Spurs (to Burnley and Chelsea), essentially ending their title chances and even raising fears, if the slump continues, of grinding them out of the Top 4 before season’s end (though it seems unlikely). 18 – A couple of weeks ago, New York City fans, who’ve actually gone a while without a title in any sport, saw their Knickerbockers end the longest losing streak in the franchise’s history, by beating the Atlanta Hawks 106-91. The last NYC title came from who else but the Yankees, way back in 2009, though they are the early favorites to add a 28th World Series in 2019. Some cities have certainly suffered longer, but the mediocrity of the Islanders, Mets, Rangers, Knicks and Nets is pretty astounding for the biggest media and sports market in the country. 20-0 – Serie C club Pro Piacenza played their match last weekend with 7 players … and it showed. They lost 20-0 at Cuneo. And if you’re wondering, seven is the minimum you can field to start a match. 43 – Sarri is one of the odds-on favorites to get the sack before the season ends, but he actually accrued more wins after 43 matches in all comps than Guardiola did at the same point in his first season in England! He will rue the missed chance to beat City to the first trophy of the season, but the Blues win Wednesday might just quiet of the constant questions about his future … at least for a week. Sarri started strong, but Chelsea have been wilting for two months now, and a 2-0 victory over Spurs still sees them planted in sixth place, after being firmly in fourth not so long ago. 50 – It took a lot longer than many would have expected during his halcyon couple of seasons at United, but Javier Hernandez finally hit the magic 50 Premier League goal mark. Unfortunately for Fulham, the equalizer shouldn’t have counted, as Hernandez clearly used his hand. West Ham went on to win 3-1 and further secure Fulham’s almost certain return to the Championship next season. Though its blurry, it’s pretty clear Chicharito is using his hand to push the ball in the net. VAR would have disallowed the goal, but that will wait until next term. 92 – Don Newcombe died last week at age 92. He is generally heralded as the first black pitching ace to play in a newly-desegregated Major League Baseball and won 20 games after being signed by the Dodgers. In the 67 seasons since he achieved that feat, only 195 other pitchers have hit the magical mark, and a smaller subset of 14 black pitchers over that stretch. RIP. 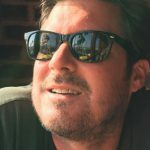 409 Days – The longest losing streak in professional sports history ended last week, as the Shanghai Dragons of the Overwatch League defeated the Boston Uprising. Last season they went 0-40 and then started this season 0-2. Another win and they will hit :500 for first time in franchise history. For those who don’t know what the Overwatch League, which included me until doing some research after reading the article, it is an esport league for the game Overwatch. Well that makes sense! $300 Million – The deal for Manny Machado for 10 years, becoming the richest contract in the history of professional sports. The Padres signed Machado after another tight free agent market where many superstars remain unsigned even as preseason games begin. The other big name still unsigned was Bryce Harper … who ended up signing for about what he could have gotten from the Nationals. RIP competitive DC baseball, at least for now. Could the Padres now compete for the playoffs? Let’s not go that crazy yet! No Comments on "EPL by the Numbers 2018-19: Match Week 27-8, City close in. Arsenal back in 4th"